February 15: 5 POWER Lessons From 5 Leaders Who Made History On This DAY! While there are millions of lives breathing in this universe, very few mark a sensation in their breath, decorating it with the purpose for life which grounds the further journey on earth. It is not great about leading life, it is great when your life becomes a factor for others to lead their lives. Here are lessons from a few such personalities who roared as lions in the past and still live in this world through their achievements. 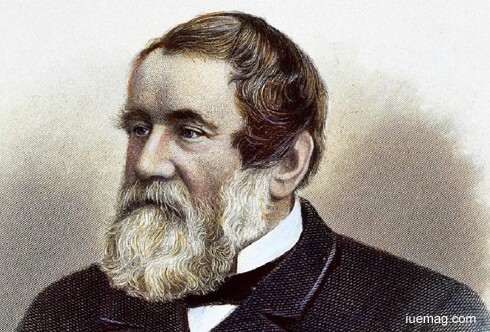 From spending whole time in a farm at blue ridge mountains, Virginia to developing a mechanical reaper, Cyrus McCormick , an American inventor and industrialist was a founder of McCormick harvesting machine Company. Being the eldest kid in the family, he realized the purpose of his life which marked a start to the creation of a potential mechanical reaper. He produced a design which was pulled by horses and cut the grain. He was granted a patent on the reaper, 2 years before which his self-sharpening plow was patented. However this fundamental model was not sold as it failed to handle varying conditions. His sense of responsibility grew when his family was bankrupted. Yet, he zealously attempted to improve the design. He progressively sold 7, 29 and 50 reapers in consecutive years, which were built manually in the family’s farm shop, for which he received the 2nd patent. To fulfill the rising demands, he contracted to have the machine mass produce. As his formula was “never compromise on quality”, he established a factory to build the improved reapers. As a result of savvy and innovative business practices, his reaper sold well. McCormick had been a devout Presbyterian, an advocate of Christian unity and demonstrated the Calvinist traits of self-denial, sobriety, thriftiness, efficiency, and morality. He believed that, feeding the world would be made easier by the reaper. Called the "father of observational astronomy,” the "father of modern physics," the "father of scientific method," and the "father of science," Galileo Galilei, while studying medicine, noticed a swinging chandelier, an air current which swung in larger and smaller arcs in synch with time. On returning home, he set up two pendulums of equal length and swung one with a large and the other with small sweep and found that they kept time together. Until which he was away from mathematics. However, after accidentally attending a lecture on geometry, he talked his reluctant father into letting him study mathematics and natural philosophy. The Italian polymath, astronomer, physicist, engineer, philosopher, and mathematician, played majorly in the scientific revolution and contributed enormously to observational astronomy including the discovery of Galilean telescopes, telescopic confirmation of the phases of Venus, the discovery of the four largest satellites of Juipiter -Galilean moons and the observation and analysis of sunspot, moon, milkyway and kepler’s supernova. Galileo invented an improved military compass and championed of heliocentrism and Copernicanism which were controversial during his lifetime. Although many astronomers opposed, Galileo later defended his views. He spent the rest of his life under house arrest during which, he wrote one of his best-known works, Two New Sciences- kinematics and strength of materials. 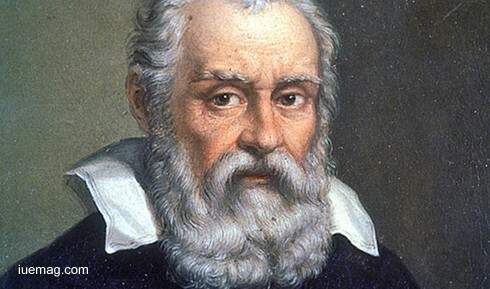 Galileo originally contributed to the science of motion through an innovative combination of experiment and mathematics and he was one of the first modern thinkers who clearly stated the laws of nature are mathematical and to set up standards of length and time. The polish nurse and an active social worker, was just 29, when she risked her life and saved approximately 2,500 Jewish children out of the Warsaw Ghetto and sheltered outside the Ghetto, saving them from the Holocaust. 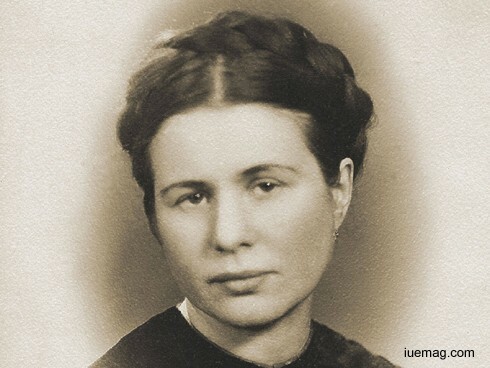 Irena Sendler, prior to the outbreak of World War II, she worked for municipal Social Welfare departments. Sendler began aiding the Jews soon after the German invasion, by leading a group of co-workers who created more than 3,000 false documents to help the Jewish families. It was at the cost of her life since giving any kind of assistance to Jews in German-occupied Poland was punishable by death. Sendler was arrested by the Gestapo who beat her brutally, fracturing her feet. Despite this, she refused to betray any of her comrades or the children they rescued, and was sentenced to death by firing squad. Fortunately, ?egota saved her life. Sendler hid from the Germans, but returned to Warsaw under a fake name and continued her involvement with ?egota. During the Warsaw Uprising, Sendler worked as a nurse in a public hospital, where she hid five Jews. “She who changes one person changes the world entire.” Irene Senderowa, the courageous lady was recognized by Yad Vashem as one of the Polish Righteous among the Nations, and a tree was planted in her honor at the entrance to the Avenue of the Righteous. Also, high school students produced a play on her life story- Life in a Jar. Not everyone who dies is remembered by the society. We cherish only those who congregate harmony among people and this social reformer is one of those. Jeremy Bentham, an English philosopher and jurist, was the founder of modern utilitarianism, became a leading theorist in Anglo-American philosophy of law and a political radical whose ideas influenced the development of welfare. He advocated individual and economic freedom, the separation of church and state, freedom of expression, equal rights for women, animal rights, the right to divorce and the decriminalizing of homosexual acts. He invoked the abolition of slavery, the abolition of the death penalty and the abolition of physical punishment. Born in Houndsditch, London, he was a child prodigy: he was found as a toddler sitting at his father's desk reading a multi-volume history of England, and he began to study Latin at the age of three. Bentham wanted his body to be dissected; permanently preserved as an "auto-icon", which would be his memorial which is now on public display at University College London. He has been described as the "spiritual founder" of UCL. He who coined the verb “to codify” designed a prison building-Panopticon, spending sixteen years of his life developing and refining his ideas for it. 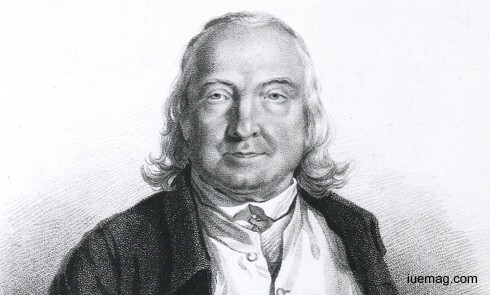 Declared the honorary citizen of France, Bentham's ambition in life was to create a "Pannomion", a complete utilitarian code of law, being the greatest happiness of the greatest number that is the measure of right and wrong which forms the cornerstone of his thoughts from which stated predominance of pleasure over pain. Passion is not something to be acquired but it is something to be identified. It is instilled in each one of us. We only have to remold it better our way of leading lives. 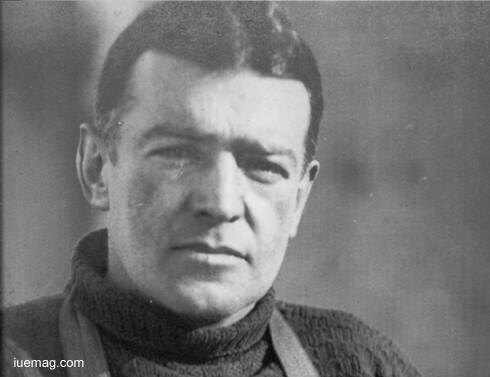 Sir Ernest Henry Shackleton, an Irish polar explorer who led three British expeditions to the Antarctic and is known as the Heroic Age of Antarctic Exploration. From his early childhood, Shackleton was an avid reader, a pursuit which sparked a passion for adventure. During the second expedition, he established a new record- Farthest south latitude at 88°S, only 97 geographical miles from the South Pole, which was the largest advance to the pole in exploration history. Also, members of his team climbed Mount Erebus, the most active Antarctic volcano. For these achievements, Shackleton was knighted by King Edward VII. "I never learned much geography at school ... Literature, too, consisted in the dissection, the parsing, the analysing of certain passages from our great poets and prose-writers ... teachers should be very careful not to spoil the taste for poetry for all time by making it a task and an imposition” he quoted.